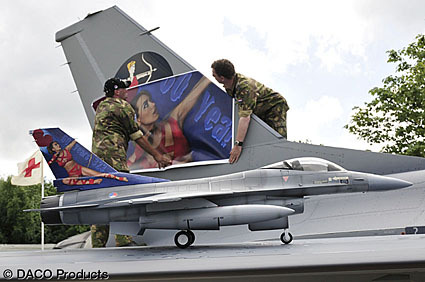 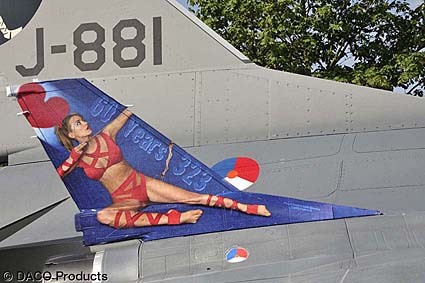 There was already a small part printed on truck batch material to check the colours, and this piece was ofcourse displayed at the 323 Sqn stand during the air show too. 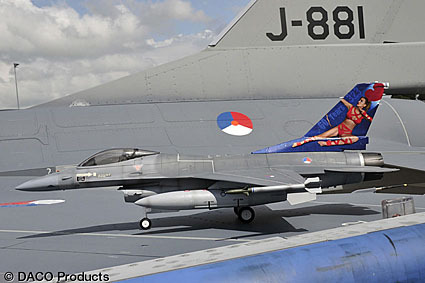 J-881 was going to be the aircraft where the digital printed tails was going to be stuck on, as it just arrived back from a D-check with a fresh coat of new paint. 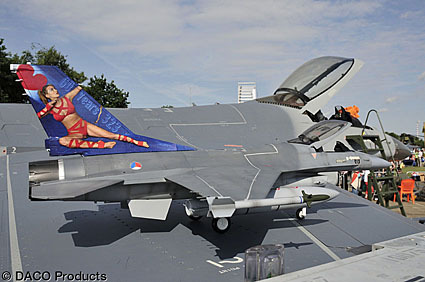 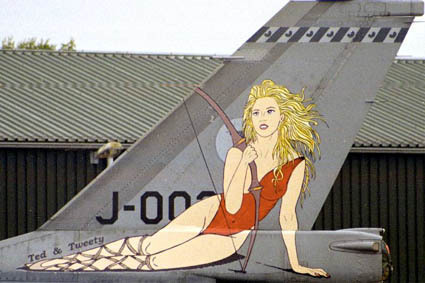 Even during the air show everyone, including women, couldn't understand why this tail was disapproved.